DREAM AWAY. WE GOT THIS. Our passports, frequent flyer miles and car odometers will tell you part of the SKS Studio story that started in 1997 pretty quickly. What it won’t tell you is why a boutique master planning and landscape architecture firm headquartered in America’s heartland has participated in some of the most impressive mixed-use and hospitality projects across 50 countries. Or why we’ve executed project totaling over $2 billion in construction. Around the world and in our own backyards, there are destination developments where the outdoors can be more stunning than the indoors. And many of these projects begin on the most improbable piece of land with the most insurmountable hurdles imaginable. The ultimate user experience can’t be left to chance; it must be deliberate and directed. Pulling inspiration from the developer and users’ imagination, we create fully immersive environments. Understanding how our designs can benefit from their surroundings, enhance the environment, and respond to economic reality, we can create places that continually improve over time – this is our definition of “sustainability.” Blurring the lines between where the indoors and outdoors begin and end. Making the photos pale in comparison to seeing the destination with your own eyes. When developers who emphasize grand hospitality have a vision and must consistently max occupancy rates – let nothing get in their way. They don’t want to be told why not, simply how. 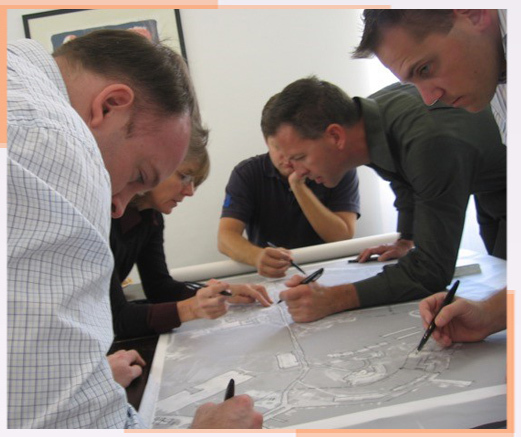 At SKS Studio, we take collaborative planning and design to another level. Sure, we get input from others, but we also speak truth-to-power when it’s needed most. SKS Studio is a firm that perceives elegance and functionality from vacant land. We see potential and beauty where desert, swamp or urban blight once existed. SKS Studio’s visionary designers imagine the unimaginable. We work on projects that require combining magic and logic. The story doesn’t stop here. You’ll find the rest of it in accounts of amazing vision, imagination, planning, collaboration, design and these become powerful marketing for resorts, residential and commercial development projects.